We’re already onto the second quarter of the year. Why does time go by so fast? It’s crazy that summer is around the corner. April is always one of those calm before the storm months. It’s always raining, the temperatures rea pretty moderate and there’s not a ton going on. It’s really when the end of school (for the kids) hits and summer begins that life starts to get crazy all over again. 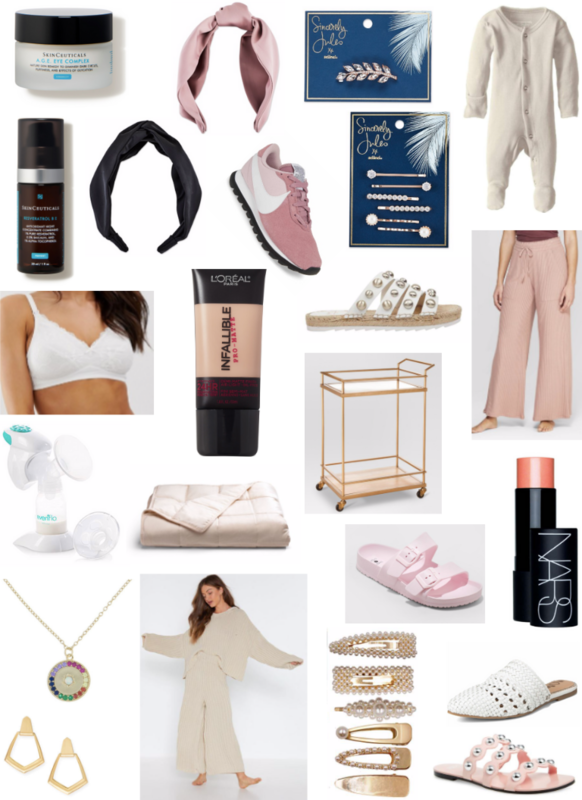 I want to share my April favorites with you. These are some things that I’ve been loving and want to share with all of you. This month, I have a mix of personal, decorative and baby items that you’ll surely love! I want to start with these turban headbands that I have been getting so many questions about! These can be found at Target and they are the cutest accessory to add to any outfit. The blush pink headband is one of my favorites. I love the black too but sometime’s it can be hard to see in my hair since my hair is dark. BUT, it is super cute with a love bun. It makes my hair look like there’s a hairstyle in it! Especially with all the 3 babies now, I’ll take all the help I can get! This L’oreal Pro matte foundation is seriously one of the best drugstore foundations I have ever used! L’oreal has always been one of my favorite drugstore brands — they never disappoint. This foundation wears all day long. There is a pro matte and a pro glow foundation. I sometimes feel the matte can be a bit too drying. You can always add a little more moisturizer or beauty oil before you apply it. I do love to mix the pro matte and pro glow foundations together. It gives me the most perfect complexion! These hair accessories have also been a huge hit the past few months. They are the cutest clips that add just a touch of glam to any hairstyle I love the big chunky pearl clips. They are so pretty to throw in your hair for church or a date night. I’ve linked a few HERE, HERE AND HERE! Anything Skin Ceuticals comes out with I instantly fall in love with. Their skincare products REALLY work. This eye cream is a game changer and I love this serum for my skin!